Boston photographer John Garo was such a star in the 20th century that President Calvin Coolidge, given the choice of having his White House portrait done by him or artist John Singer Sargent, selected Garo. After moving to Boston in 1889, Garo, a painter, switched to photography when he realized it held better earning potential. 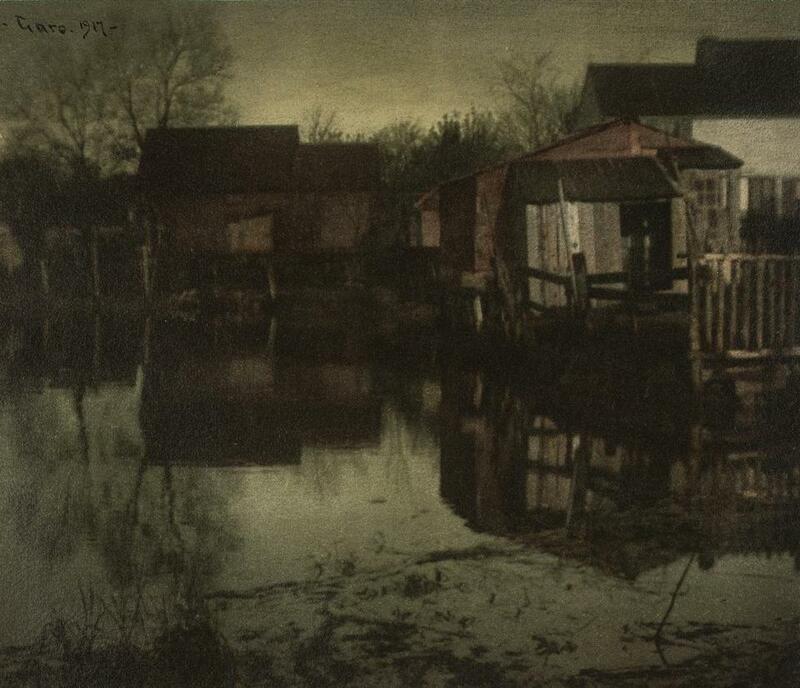 Yet he maintained his painterly ideals, and some of his photographs look like paintings. Garo loved to socialize and his imposing studio — on a stretch of Boylston Street then known as Photographers’ Row — was a favorite gathering place. However, Garo was not without critics, among them one who in Alfred Stieglitz’s publication Camera Work called Garo’s photography “essentially a trick.” Still, actresses and business tycoons streamed into Garo’s studio to sit for portrait photographs. In the late 1920s, Yousuf Karsh, a survivor of the Armenian genocide, began a three-year apprenticeship with Garo, an exacting teacher. Karsh once spent 18 days producing a single photograph. Eventually Karsh’s career eclipsed his mentor’s. During World War II, Karsh photographed Winston Churchill and many other world leaders. While Garo used natural light for his portraits, Karsh relied on artificial lighting. Mehmed Ali’s “Yousuf Karsh & John Garo: The Search for a Master’s Legacy” (Benna), illustrated with 100 photographs, most of them by Garo or Karsh, offers an inside look at the early years of celebrity photography. The Armenian Museum of America will host a talk by Ali and Jerry Fiedler, director of Karsh’s estate, Tuesday at 7 p.m. The museum is located at 65 Main St., Watertown. The Massachusetts Poetry Festival, which starts Friday and runs through Sunday, features about 100 readings, discussions, and workshops. There will be readings of poetry by Afghan women and poems about sibling rivalry. There will be a discussion of Sylvia Plath’s formative years in Winthrop and a workshop on humor in poetry. A $20 button includes admission to all events, which will be held in downtown Salem. www.masspoetry.org. James Michael Curley is back in the limelight and that’s good news for “The Last Hurrah,” Edwin O’Connor’s 1956 novel about an Irish-American political boss who bears a strong resemblance to Curley. The Jamaica Plain Historical Society recently posted online a trove of photographs of Curley it bought from a Houston book dealer. Curley, the four-time Boston mayor and one-time Massachusetts governor, twice was sent to prison, but remained beloved by many. “The Last Hurrah” had gone out of print after more than 50 printings and editions. On St. Patrick’s Day, the University of Chicago Press published a new edition of the novel with an introduction by Jack Beatty, author of the 1992 Curley biography “The Rascal King” (Addison-Wesley). When “The Last Hurrah” was first published, The New York Times called it “the best novel about American politics.” The Boston Globe, Beatty writes, had invited Curley to review the novel, but Curley, who threatened to sue O’Connor for libel, returned the review copy with a note saying that his attorneys were handling the matter.